We need volunteers for the weekend to flyer and leaflet at Leith Waterworld. Please email splashbackedinburgh@gmail.com, with the times you are willing and available and a contact number. One hour is good, two hours is fantastic! 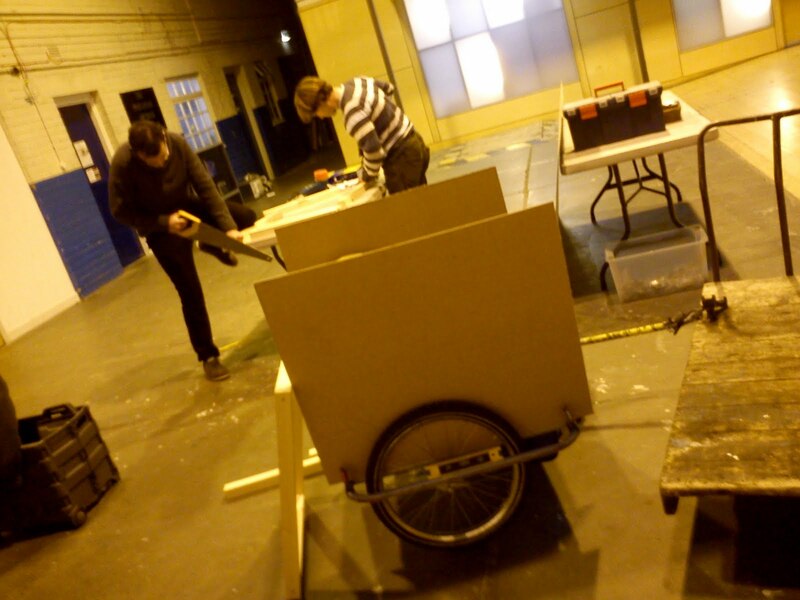 We were building the Swimming Utility Battlebus (SUB) today, Thursday 1 December at Out of the Blue Drill Hall.. We are pimping an old children's bike trailer to create a mobile cart that we can move around and collect signatures foir the petition from... Thanks to those who helped. We are a young campaign, with a lot to achieve in a short amount of time - we only have forty days to save the (Leith Water)world!. On Monday there were 2, Tuesday there was 3, and by the end of yesterday we have over 70 people involved! We have over 100 at present on our mailing list, and over the past two days (since it was set up) the blog has had over 500 visits! We are gaining momentum in part because of the widespread and heartfelt dismay at the decision to close the much-loved Leith Waterworld. Thanks to everyone who came to yesterdays meeting - the first public meeting of Splashback. Over 60 people turned up, and spoke about why they wanted to save Leith Waterworld - some fantastic contributions from the floor, especially the young ones who spoke up in front of everyone - well done. Thanks for all the campaign suggestions and offer to get involved. We will be circualting the minutes in due course. Our first planning meeting to look at how we build the campaign, based on the ideas we received at yesterdays public meeting. Please join us to discuss and plan how we progress. We will review what we know so far and what we wish to do in the next 40 days. Everyone welcome... We will be looking to allocate areas of interest accrding to skills and interests people have.. The venue is fully accessible and we will be hoping to have childcare if anyone volunteers to look after children. Anyone?